The Toyama Ryu Battodo system stems from the Gunto Soho (military sword curriculum) of the Rikugun Toyama Gakko (Toyama Military Academy). The academy was formed in 1873 and officially adopted its sword curriculum in order to train officers in the Imperial Japanese Army in 1925. Nakamura Taizaburo Sensei was one of the instructors at the Toyama academy and it is from his teachings that we derive our lineage. During the Second World War, he also was a member of the Nanpo Kirikomitai (Southern Special Attack Force) who was known for facing modern infantry carrying only their swords. His experiences using a sword in battle during the war caused him to make some significant changes to the original curriculum, as well as develop Nakamura Ryu, his own system of swordsmanship. It is the above history which has made Toyama Ryu above all a simple and practical system of swordsmanship. Battodo training is made up of Suburi (sword cutting combinations), Kata (sword forms), Kumitaichi (paired training) and Tameshigiri (target cutting). In the beginning students practice using a Boken (wooden sword), then once basic proficiency is gained they move on to using a real sword. 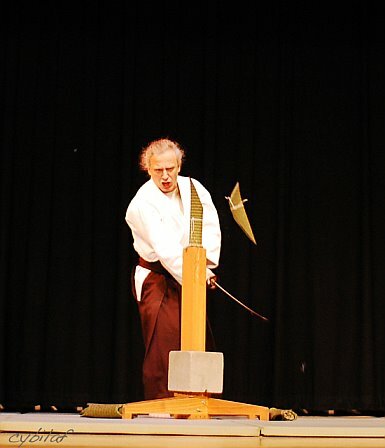 The name Battodo (sword drawing way) refers to the understanding that the benefits of training in Toyama Ryu should go far beyond the physical. Working with a blade should sharpen the practitioner’s mental focus and strengthen their spirit. Our system of Battodo was handed down to Michael Esmailzadeh Sensei by Toshishiro Obata Kaiso, who was an early student of Nakamura Taizaburo Sensei. Aside from the Toyama Ryu and Nakamura Ryu, our system of Battodo also incorporates elements of two other schools of swordsmanship in which Obata Sensei trained. The Kumitachi has been influenced by the Shinkage Ryu (Yagyu Ryu), a medieval school of kenjutsu rooted in the Samurai warrior tradition, which he studied under the twenty first generation Yagyu Headmaster, Nobuharu Soke. Our Tameshigiri includes elements of the Ioriken Battojutsu, which he learned from Uchida Tetshinsai Sensei. It is important to mention that two other teachers aside from Nakamura Sensei carried the Toyama Ryu line forward, named Yamaguchi Yuki Sensei and Morinaga Kiyoshi Sensei. Also over the years Nakamura Sensei made many changes to the system, while teaching thousands of students. Therefore there are many different versions of Toyama Ryu being practiced now. 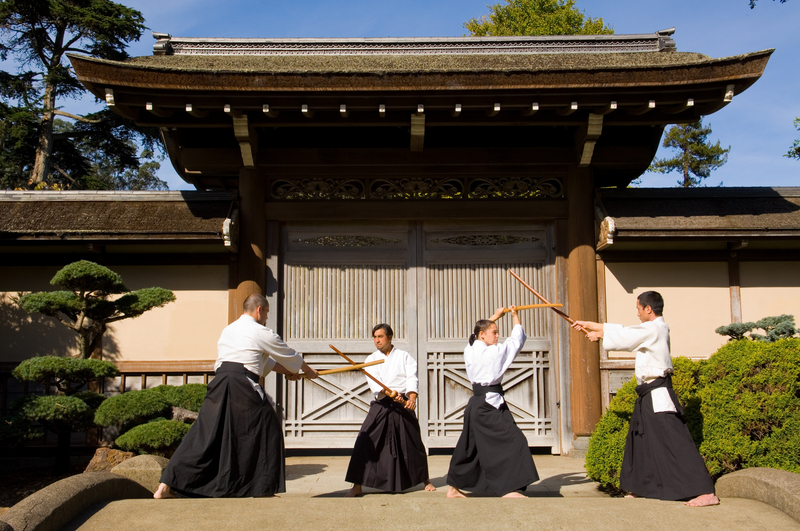 At different times they call themselves Toyama Ryu Battojutsu, Toyama Ryu Battodo, Gunto Soho, Toyama Ryu Iaido and Nakamura Ryu, but are all related to the original military system.